The circles do well with simple relationships involving two or three populations. Sometimes four can work. Though words can usually make the same statement, the visual representation works on a different part of the brain. Sometimes, the simple logic of the diagram makes the difference; all the areas have meaning and they all seem present in a more concrete manner than with plain text. 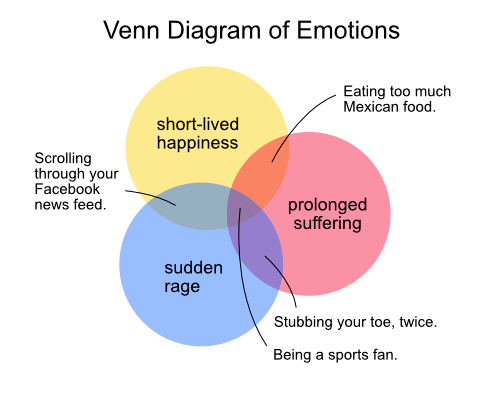 Venn diagrams do well for explanation. Data tables or charts should be used for specifications.